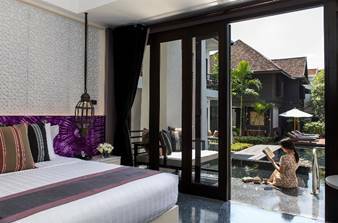 U Chiang Mai invites you to surround yourself in happiness and relaxation while enjoying the ultimate getaway with our “Luxurious Superior Pool Access” promotion, featuring a full 30% discount with rates starting at just THB 4,659 per night in a Superior Pool Access room. Plus, you’ll get to enjoy the following special benefits included in the package (a minimum of 2 consecutive nights of stay is required). This offer is available for bookings and stays from now – 31st March 2019.